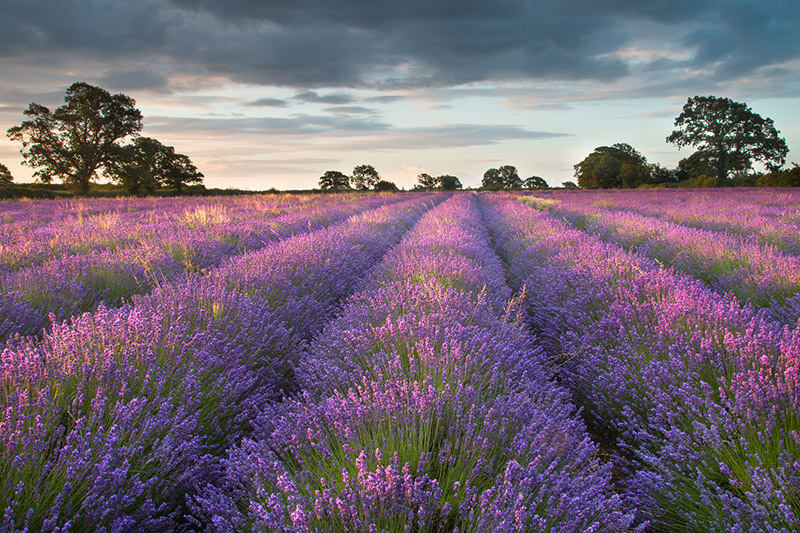 Having previously photographed Somerset Lavender at dusk with the sun setting behind me, I decided that a dawn image with the sun at right angles would better emphasise the form and texture of the lavender rows. I left home at 3am one morning in late June under clear skies. As sunrise approached, the clouds built up ominously. I finally got just one minute of good light before the sun disappeared for the rest of the morning. But I was in the right place with my composition set up for those 60 seconds. I was back home in bed by 6am.